New production of "I Capuleti e i Montecchi"
Today the new production of Bellini's opera "I Capuleti e i Montecchi " will be publicly announced. Premieré of this bel canto masterpiece is scheduled to take place on May 19th, 2019 at Endla Theatre, Pärnu. The stage director of the production is Katrin Tegova, musical director Erki Pehk, set and costume designer Madis Nurms and lighting designer Margus Vaigur. Ballet "GO - a Game for Two" travels to China next week for guest performances at major cities Shanghai, Dalian and Hangzhou. "GO" is an original ballet staged by Teet Kask, based on the music of Lepo Sumera that had its premiere in 2014. On December 17th a christmas production of "La belle Hélène" will have its premiere at the Universität der Künste Berlin. "La belle Hélène", otherwise known as "The Beautiful Helen" or "Die schöne Helena", is an opéra bouffe in three acts by Jacques Offenbach. The piece revolves around the story of Helen's elopement with prince Paris, which set off the Trojan War. Have a look here for the costume drawings and a sneak-peek video. Full video of "La Traviata"
The full performance of PromFest production of Giuseppe Verdi's "La Traviata" is now available on YouTube. Winners of the Klaudia Taev Competition for opera singers lead the cast of this gloomy story. When a glamorous call girl Violetta Valéry finds love in her admirer Alfredo Germont, it seems nothing can keep them apart. But the rules of society and family expectations betray them, and Violetta’s fate takes a tragic turn. It's time to raise the curtain on Giuseppe Verdi's "Aida" for only three performances this year. Soloists of this production are of many nationalities (Lithuania, Ukraine, Belarus, Latvia and Estonia) so the performances are quite rare. There are only three shows of "Aida" in 2017. "In theory the idea of opera-thug Nurms directing the utterly lyrical „Aida“ seems like an act of aesthetic vandalism or even an iconoclasm. In practice the meeting of the romantic opera and a postmodernist director/designer turned out to be rather exciting, with all the virtues and disadvantages of the experiment itself." Here are the new pictures of "La Traviata" by photographer Tiit Mõtus and some rehearsal footage with interviews in both Estonian and Russian. Today is the second performance of a new production of Verdi's "La traviata" at the Pärnu Concert Hall. Here's another look into the workshops of Kaunas State Music Theatre. Video shows the sets and costumes getting ready for the first stage rehearsals of "La traviata". Premieré on May 5th 2017. See the video of "La traviata" set and costumes being prepared at the Kaunas State Music Theatre. Opera "Aida" is on the stage of Vanemuine Theatre in Tartu for last three times this year. First of the performances takes place on Thursday, October 6th. 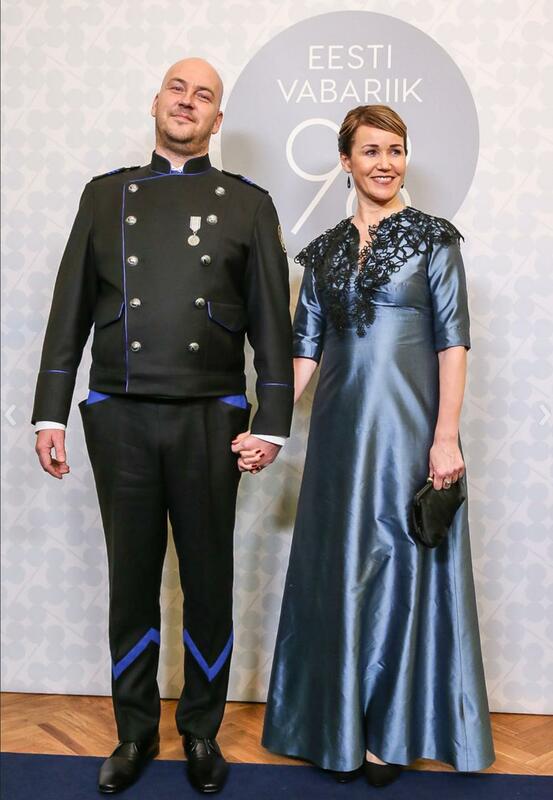 Member of the parliament Mr. Artur Talvik wore a festive uniform designed for volunteer sea rescue teams at the reception of the President of the Republic of Estonia and Mrs. Ieva Ilves on the Estonian Independence Day. Talvik is well-known Estonian film producer and screenwriter. Questions of Heili Vaus-Tamm about the staging of "Aida". Video is in Estonian. Interview about "GO - a Game for Two"
"GO - a Game for Two" is an original ballet by Teet Kask, based on the music by Lepo Sumera. It premieres Saturday, October 25th at Theatre Vanemuine. The new production of Tsar's Bride, opera by Nikolai Rimsky-Korsakov was announced this Monday. The premiere is on June 6th 2013 at Endla Theatre, Pärnu.